Mudgala Purana narrates eight forms of Ganesha. The eight forms annihilate eight different demons. The eight demons symbolically represent eight human weaknesses. Ekadanta form of Ganesha conquers arrogance. Dhumraketu, also referred as Dhumravarna, is the incarnation of Hindu God Ganesha that will appear at the end of the Kali Yuga. 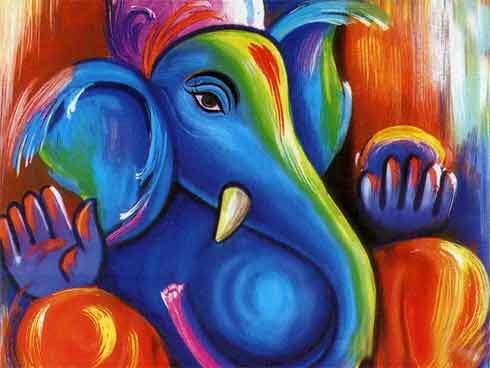 You can read about this avatar of Ganesha here. As per Mudgala Purana, Ganesh took the form of Vakratunda to annihilate demon Matsaryasura. You can read about this avatar of Ganesh here. It is stated in the Mudgala Purana that one of the mission of the Gajanana Avatar was to annihilate Lobhasura – the demon greed. you can read the story here. If you have gone through the Bhagavad Gita, it is clearly mentioned in it that anger, lust and greed are the three gates to hell.